For years, RES has partnered with our clients to respond, challenge, seek, question, innovate and solve. Our approach is thorough – the scope of services we provide, vast. We utilize our international, hands-on experience to create tailored solutions to our clients’ special needs. Our total service approach combines this experience with technology, a mix that stimulates positive, lasting and profitable results, year after year. RES can provide design services that fit your needs. Our level of involvement can run the gamut from an informal P&ID review to total project management, from project inception through start up. Projects can range from debottlenecking, redesigning or modernizing an existing process unit to total project management (including developing conceptual designs, performing detailed engineering, managing construction, and completing start up of a complete grass roots facility.) We perform audits of designs which have been proposed to our clients. Economic studies and evaluations of conceptual designs can be furnished. RES can help you to ensure that the start up of a new or revamped facility or process unit will be as successful as possible. RES will learn how your facility was engineered and designed to operate. If needed, RES can develop and furnish you with start up and operating manuals which will include a detailed description of the facility and its normal operation. Procedures for operating and shutting down during abnormal conditions can also be provided. Operator training can be incorporated as part of the start up service if you so desire. RES will provide an expert on-site presence for your start up to ensure that your personnel are properly trained and to guide them in implementing the start up procedures, in troubleshooting problems if necessary and in optimizing system performance. RES has a proven track record of solving tough problems. The extensive refinery experience of RES consultants and contacts represents many “lessons learned” about problems and solutions in the areas of process design, turnarounds and operations. Other areas of expertise include equipment (Fired Heaters, Pressure Vessels, Heat Exchangers, Pumps, Compressors, Towers, Reactors, etc.) and materials (metallurgical considerations). Our alliance with ThermaTran brings a wealth of experience and design knowledge in the field of Process Heaters. 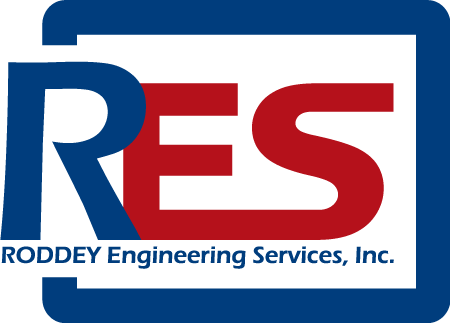 Additionally, RES consultants have extensive experience in design, fabrication oversight, maintenance, repair, and operational considerations for fixed equipment. Rotating Equipment is routinely designed and specified by RES consultants, but their knowledge extends beyond the design phase to years of operation in refineries. RES metallurgical consultants have far-reaching experience and a huge knowledge base on selection, limitations, corrosion considerations, and failure analysis of a wide range of materials used in the oil and petrochemical industries. Their combined expertise yields better service to the client. RES provides a unique service to the industry, a combined process and mechanical inspection service. Not only can we identify a mechanical problem but we can analyze the problem and give opinions on causes and solutions while we are on site. Preliminary field reports are issued before we leave the refinery so there is no waiting for the report. RES helps you get the most out of your turnarounds and keep downtime to a minimum. RES plans and coordinates the entire turnaround in close cooperation with your company personnel. If you wish, RES can concentrate its efforts on a specific units during the turnaround. RES has particular expertise in catalyst regeneration and catalyst loading — we don’t just talk about the effectiveness of our techniques — we demonstrate it. RES provides unit operation review and monitoring services. This invaluable service can free up your lean, taxed process engineering group to concentrate on the day to day immediate needs of the refinery. Your refinery units can be modeled to confirm that operations are optimum and to predict the result of possible process changes. Technical advice on how best to utilize existing equipment or additional equipment can be provided. RES will gather, organize, summarize, and analyze operating data from your process units. Your process data can be transmitted via telephone to our headquarters for review by our expert staff. The raw data is reviewed for accuracy and reasonableness and then analyzed with the aid of a computer. Concise, informative reports on your operations are provided. Past operating practices are assessed and current unit performance is evaluated to help develop recommendations on any needed operating changes or enhancements. The reports will let you know how your units are doing, what process changes may be indicated, and when regenerations and/or turn arounds may be needed. RES can provide training by experts. Knowledge accumulated over numerous years of operating experience can be made available to your plant personnel. This research paper writing service is normally provided in conjunction with a service agreement in preparation for an RES managed start up, turn around or revamp. The training can be as general as providing a refining industry overview for non-technical or new technical employees or the training can be tailored to your very specific needs. RES can provide excellent training in many subject areas including the areas of instrumentation and control, hydrocracking, hydrotreating and reforming. At RES, several high tech computer programs are utilized: HYSYS® and other Aspen products are used to model the processes of new process units, to model existing units so they can be effectively revamped, and to troubleshoot existing units. COMPRESS is used to design new ASME Code pressure vessels and to evaluate and modify existing Code vessels. DFS is a piping design / fluid flow program that enhances RES’ ability to design and analyze piping systems based on hydraulic considerations. ALGOR finite element software is used to do stress analysis on piping systems as well as detailed analysis of structural elements. AUTOCAD, the computer-aided drafting program that has essentially become an industry standard, is used to develop design packages and interface with many of the other software. RES can analyze your existing process units and recommend, design and implement modifications which incorporate applicable technological advances to improve unit efficiency, profitability, operating stability and safety. RES’s goal, as always, is to ensure the maximum benefit for each dollar of expenditure by you, the client. RES has state-of-the-art modeling capabilities. RES can combine these capabilities with its edge in experience to develop solutions to even the most complex process problems. We often solve problems on which others have given up. RES consultants review a client’s overall process with a view to the current hydrogen usage. After a plant visit to gather data, RES will analyze hydrogen management and distribution, then make specific recommendations for improvement and optimization of the system. Heater performance, troubleshooting, and optimization are accomplished through our alliance with ThermaTran. Experience and industry contacts uniquely equips RES to assist clients in evaluating the effectiveness of the many technologies available to comply with low sulfur regulations. The individual needs and resources of each client is evaluated to assure that the best technology applicable. RES can help you to determine what processes will enhance your profitability. RES performs detailed economic and technical evaluations of the available technologies. Proposals will include processing schemes which include recommendations for technologies chosen from among competing technologies which were considered in various alternative processing strategies. The endorsed processing scheme will incorporate the consideration of product value, feedstock cost, operating costs, energy efficiency, capital investment, operating characteristics and environmental and safety issues. The economic justification of a project or business plan can be determined carefully considering market forces, financial markets, and regulatory impacts. RES can assist clients in making decisions that will be the most beneficial, through our network of industry leaders and economic specialists. RES recognizes the high monetary exposure that can result from incidents that cause or result from emergency situations that result in personal injury, equipment damage or business interruption. RES can react quickly to help you determine the events that led up to the incident and to help you determine the extent of the damage. RES personnel will provide you with the information necessary for you to properly access your situation after an incident. RES can provide relevant expert legal testimony if you so desire. As a service to our clients, RES performs process management safety studies. The studies cover almost any area in which the client has a need for assistance in complying with the recently implemented Process Safety Management (PSM) regulations. Typical studies involve using Hazard and Operability (HAZOP) Studies in process analysis and analyzing flare systems for adequacy and needed modifications.